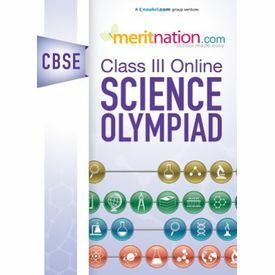 Class 3 students who are appearing and seriously preparing for Science Olympiad exams like NSO, iSO, IAIS - Science, NISO, NSTSE , etc should surely try out this product from Merination. Experts at Meritnation have carefully designed these tests to ensure that the student's concepts are comprehensively tested. Logical reasoning and analytical reasoning are integral to these tests . The students get a good idea of what they can expect at the Science Olympiad exam they are appearing. 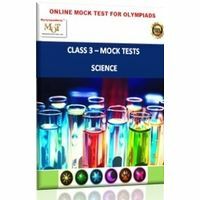 Class 3 students who are appearing and seriously preparing for Science Olympiad exams like NSO, iSO, IAIS - Science, NISO, NSTSE , etc should surely try out this product from Merination. Experts at Meritnation have carefully designed these tests to ensure that the student's concepts are comprehensively tested. 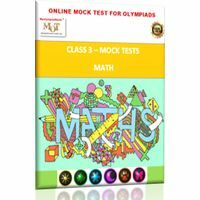 Logical reasoning and analytical reasoning are integral to these tests . The students get a good idea of what they can expect at the Science Olympiad exam they are appearing.